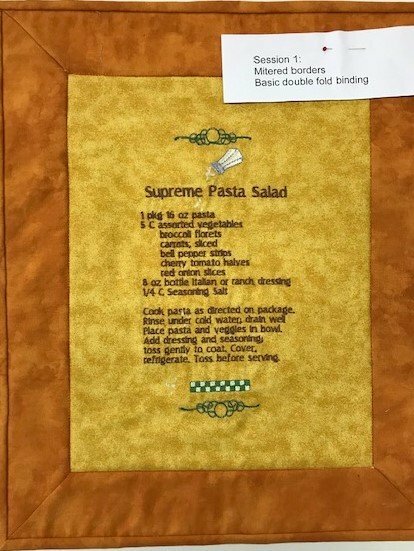 Class 1: Learn to attach the standard double fold binding to a quilt or wall hanging; join borders using a mitered corner. Class 2: Learn to add squares in each corner of the borders. Learn piping. Class 3: Learn to add Prairie Points to all edges on a patchwork quilt. Class 4: Learn multi borders using borders as a design element. Class 5: Learn Prairie Points single color shortcut. Sewing machine must in good working order. Students need to be familiar with the operation of their machines. You will need a 1/4" foot with or without a guide. This fee is for the entire series.